joined the Mormon church and attended the Glasgow conference. They were unable to emigrate, however, until the Mormons established the Perpetual Emigration Fund to assist indigent European converts to Mormonism. In September 1857, when the emigrant train became besieged at Mountain Meadows, Macfarlane was among those who mustered there. Macfarlane was at the military council at the Meadows in the evening of Thursday the 10th. On Friday the 11th, according to John D. Lee, Macfarlane was on horseback acting as adjutant carrying orders from one part of the field to another. Lee later claimed that the Scottish emigrant Macfarlane was among the most violent in the massacre. This, however, is uncorroborated. "Daniel McFarlan" was included in the 1859 arrest warrant. Macfarlane did not testify in either of the Lee trials. Nearly four decades after the massacre, Macfarlane prepared an affidavit of some events surrounding it. John M. Higbee, Joel W. White and William Tait also made affidavits around the same time. Daniel Macfarlane's statement is of lesser value. Somewhat vague and conclusionary in nature, its primary purpose appears to have been to exculpate John M. Higbee. He is the son of John Macfarlane and Annabella Sinclair. He had one older brother, John Menzies Macfarlane and one older sister Ann Macfarlane. 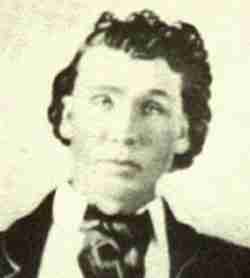 At the age of 8, on November 15, 1845, he was baptised into the Church of Jesus Christ of Latter Day Saints. He was nine years old when his father died. After moving to Glasgow at age 11, he left for America with his mother, brother, sister and two cousins (Gillespie) at age 15. They traveled with the Perpetual Emigration Fund Company under the direction of Isaac C. Haight in June of 1852. The family sailed on the "Ellen Marie" and the "Kennebec". They arrived in Salt Lake City, Utah on September 3, 1852. The Macfarlane family and Gillespie cousins found themselves in the Sessions Settlement (Bountiful). Daniel's Mother Annabelle married Isacc C. Haight on October 16, 1853. Isaac had planned on settling in Salt Lake city, but President Brigham Young assigned him to take charge of the Iron Works in Cedar City, Utah. Obedient to the Prophet, he moved his wives to Cedar City. There he began building a home and handling athe affairs of the Deseret Iron Company. Daniel moved to Cedar City with his mother and brother at age 16. As Daniel grew and matured he showed a special gift for landscaping and gardening. He was very meticulous and organized with his work and because of this many desired his work. He married Temperance Keturah Haight in 1862 at age 24, when Keturah, or Turie, was 17. This made him a son-in-law of Isaac C. Haight, as well as a step-son. They had 12 children, 8 of whom lived to adulthood. In 1879, at age 42 Daniel married Elizabeth (Lizzy) Ford who was 19. They had 9 children, all of whom lived to adulthood. Daniel was the postmaster in Cedar City; he and Keturah operated the post office in their home for twenty years. He also was the City Recorder, a member of the Cedar City Council, an excellent gardener and orchardist. During General Conference in Salt Lake City on October 6, 1876, names were read of the brotheren who were to serve missions. Daniel was one of them. He served a mission to Scotland. This left Keturah home with 6 small children to support, but Daniel was obedient to the call. He served a mission for two years even though it was difficult. Keturah continued to operate the post Office and teach school while he was away. A seven year old daughter, Keturah, died while he was away. Daniel had a brush with death in a rollover accident in a wagon in which the wagon driver, A. M. Findley, was killed. Both men were thrown from the wagon. Daniel suffered a severe head injury, from which he never fully recovered. This took place in February 1891 when he was 54 year old. Daniel also served time in the Utah penitentiary for "unlawful cohabitation". He died on October 23, 1914 at the age of 77. Information on the above Mormon Shooter and Clubber, was obtained from the following: Pioneers and Prominent Men of Utah, The 1857 Iron County Militia Project, Mountain Meadows Massacre Assassins, Macfarlane-Sinclair Family Website, Bagley, Lee, Gibbs, Dunn, Denton and Shirts.